You know you’ve made it in life when you’re looking at the luxury sedan segment. And there’s no short of contestants for you to choose from; Audi, BMW, Bentley, Jaguar, Lexus, Porsche and even Rolls-Royce are all vying for your money. But of course the usual suspect here would be the Mercedes-Benz S-Class; no other model screams ‘towkay’, ‘big boss’ or ‘CEO’ louder than this as you roll up the hotel driveway. This is a very big car, there’s no denying that fact. Measuring in at 5,271 mm long, 1,905 mm wide and with a wheelbase of 3,165 mm, it has presence everywhere it goes. Oh, and it weighs slightly more than two tonnes, mind you. 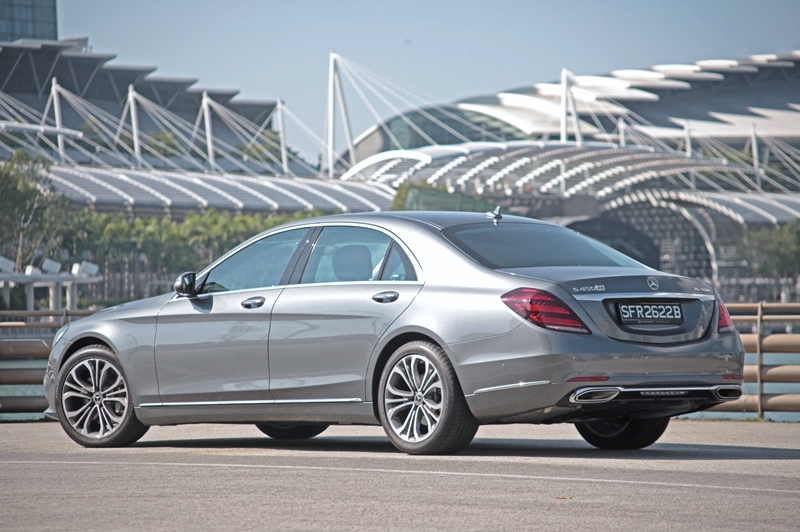 Initially, the S450 L needed some getting used to; emphasizing again that it is a very big car, driving up and down multi-storey carparks, manoeuvring into parallel lots and reversing into parking lots require special attention. For the first two days with the car, that is. But once you’re familiar, it turns out to be an effortless car to drive: You could easily gauge the front end, and the well-sized wing mirrors provided good visibility. 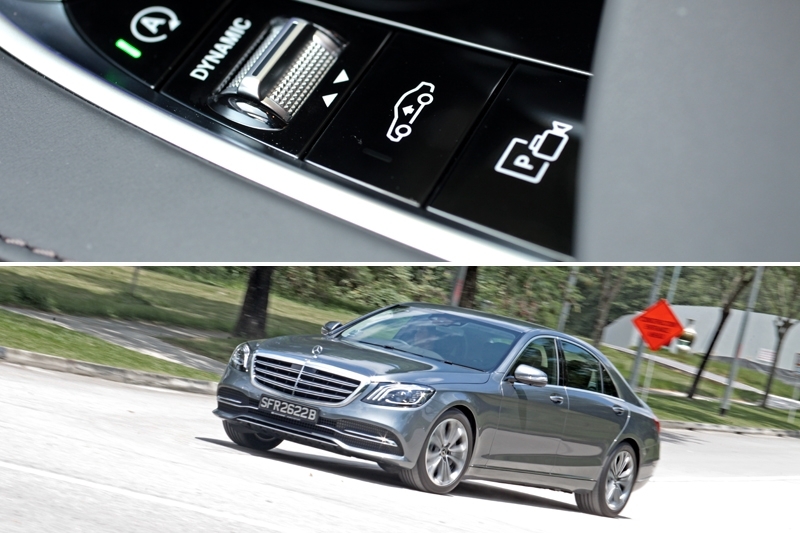 The myriad of active driver’s assistant, particularly Mercedes-Benz’s Active Parking Assist, really goes a long way. 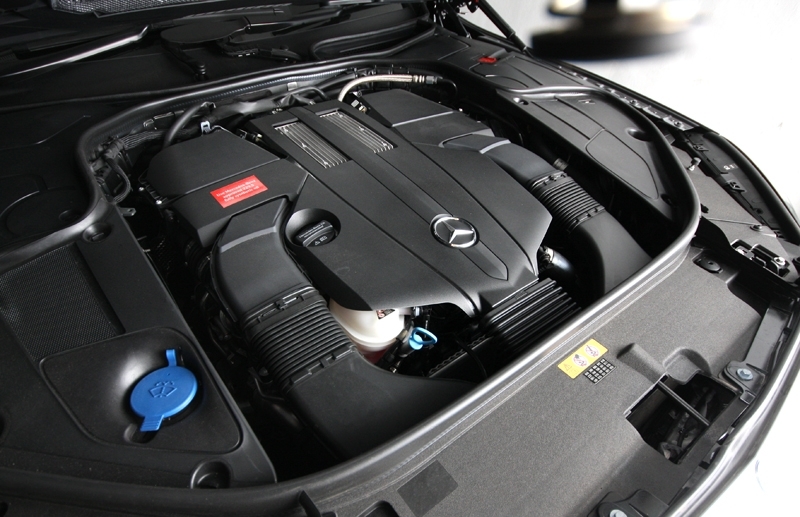 Powering the S450 L here is a 3.0-litre V6 Bi-turbo powerplant that’s mated to a 9-speed automatic transmission; or ‘9G-Tronic’ in Mercedes speak. Frankly, this combination is more than enough; again, let me remind you that this thing weighs more than two tonnes. 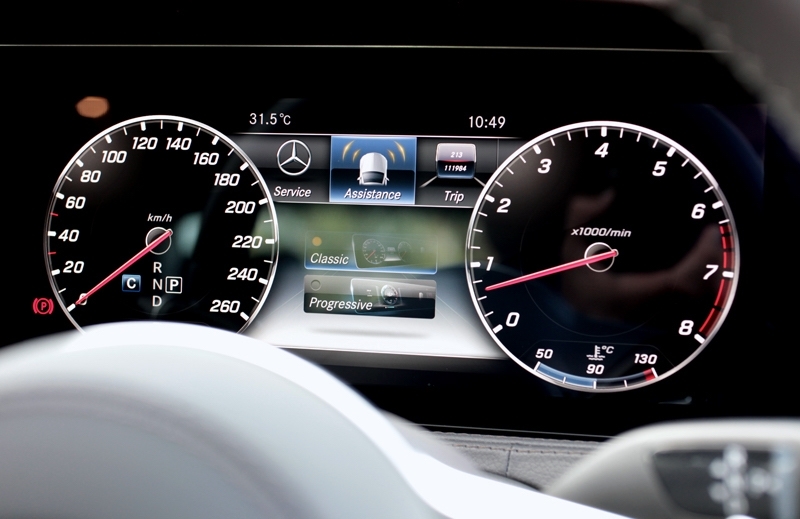 So seeing it do the standstill to 100 km/h run in only 5.4 seconds is a rather big – pun intended – surprise. Power figures, you ask? Try 362 bhp and 500 Nm of torque, the latter available at just 4,000 rpm. 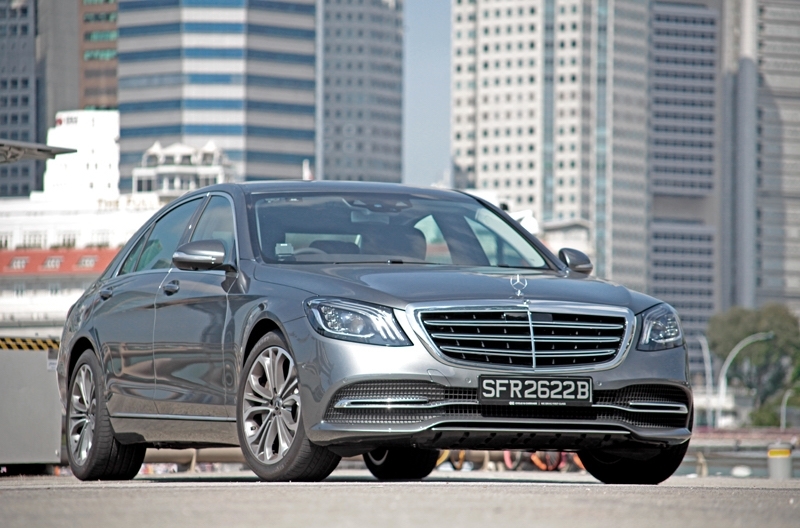 It’s a laugh seeing how it outruns every single thing you could throw it at; be it a German hot-hatch, a high-performance sedan or even sports SUV, this S450 L chews and swallows them all in an unsuspecting manner. 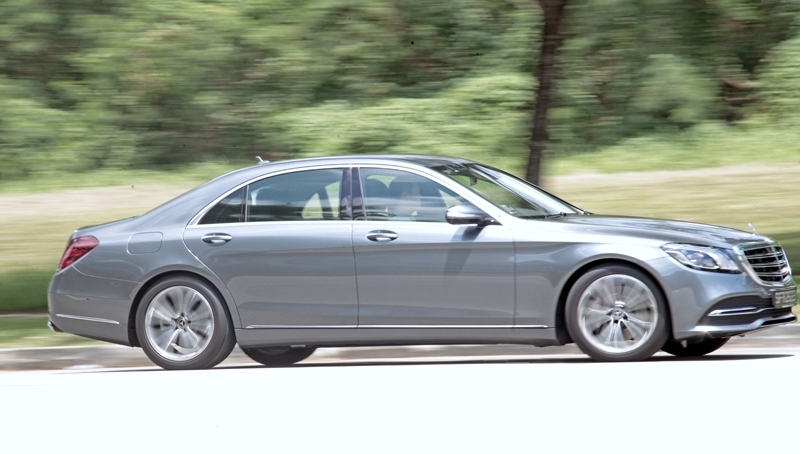 Which is why for a driver, this luxury sedan can be quite entertaining. Undeniably it isn’t exactly sharp around corners, but put it into the sportiest mode available and it can still hold its own; when driving in this manner, you cannot escape its length and lack of tightness, but at least body-roll is acceptably controlled and the front two wheels do communicate well enough, informing you how much further you could still push it. Some may think this portion is really unnecessary, but remember how in the movies you have to escape from baddies? 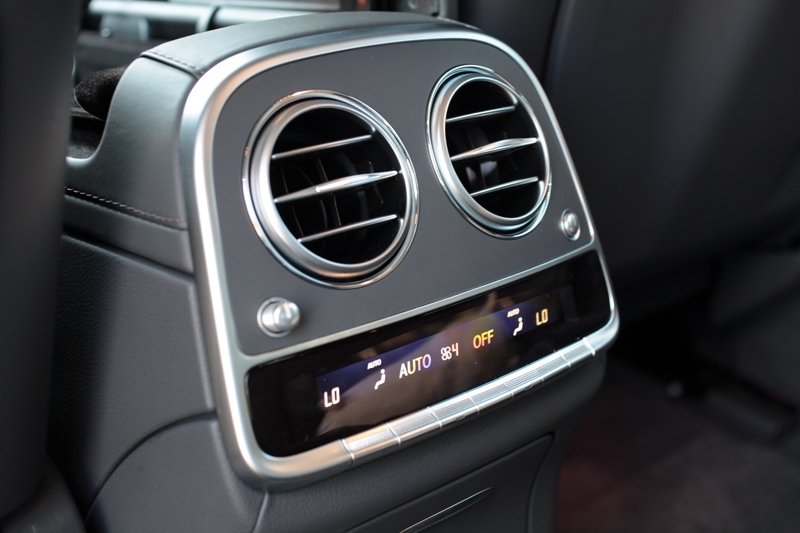 This S450 L has just shown how able it is. 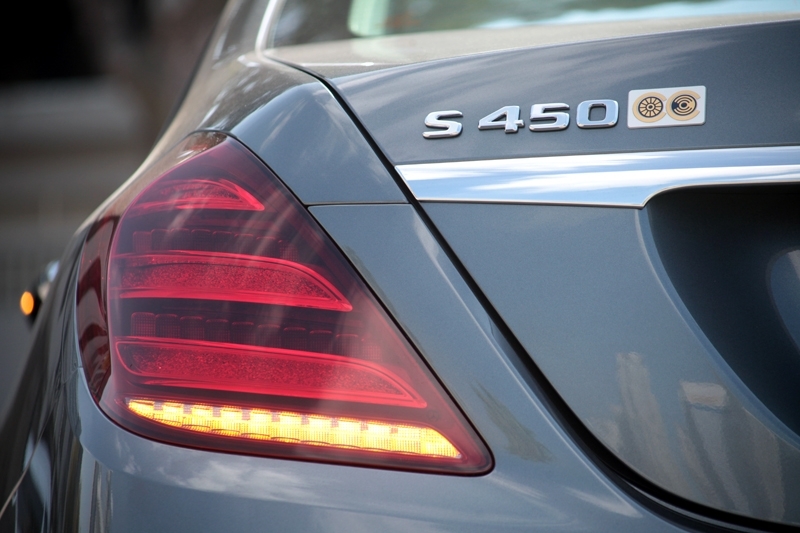 For daily driving, the S450 L is one of the most comfortable car your money can buy. 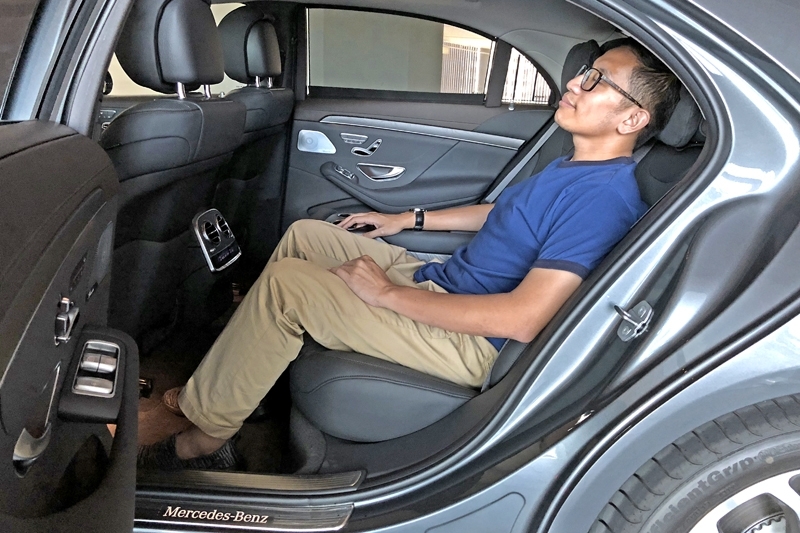 This sub-$500k sedan glides over uneven road surfaces and potholes (yes, you can find them on our roads these days), the cabin so eerily quiet when you’re driving alone with the audio system switched off and you have to constantly monitor the speedometer to ensure you’re not breaking the law. And if you’re the driver, you’ll love the spacious cockpit and super comfy seat. Build quality? Faultless. 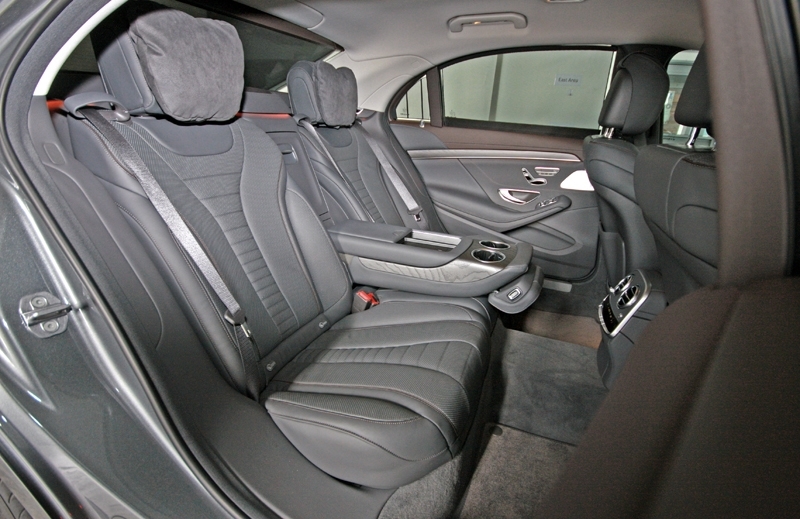 Comfortable and sorted are the first two words I’d use to describe the rear section of the S450 L’s cabin. It’s obviously inspired by business class cabins of airlines; seats that could be adjusted for several angles – quite close to lying down, even – along with very generous legroom. 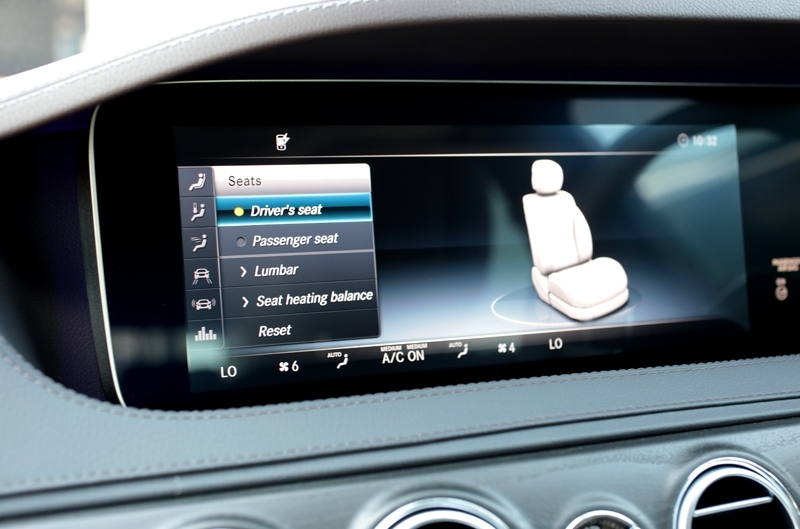 The additional pad on the headrest – wrapped in velvet, no less – really goes to show how comfortable Mercedes wants you to get back there. 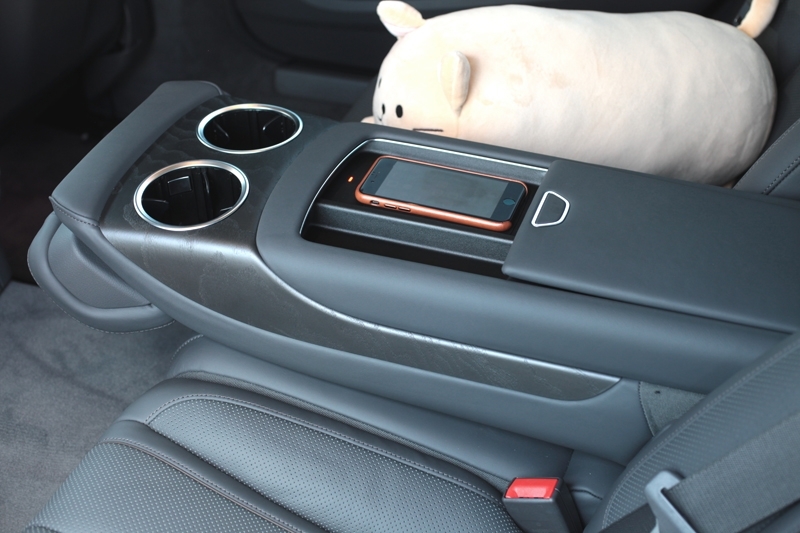 It hugs you so comfortably, with the center portion coming down to act as an armrest, cup holder and storage for small items (your wallet and cheque book, for example). Oh, did I mention there’s a wireless charger for your smart phone too? 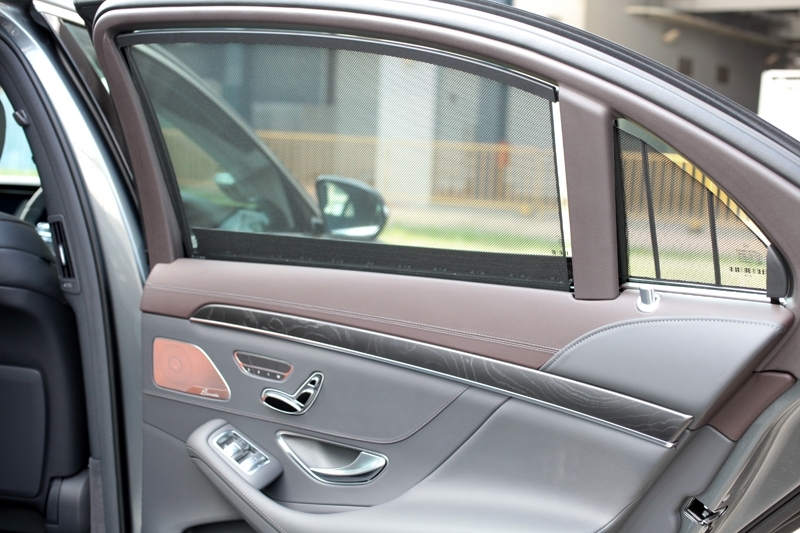 Then for privacy, there are sunshades for the rear windshield and both side windows; rear air-con vents ensure you’re kept cool in our tropic weather. 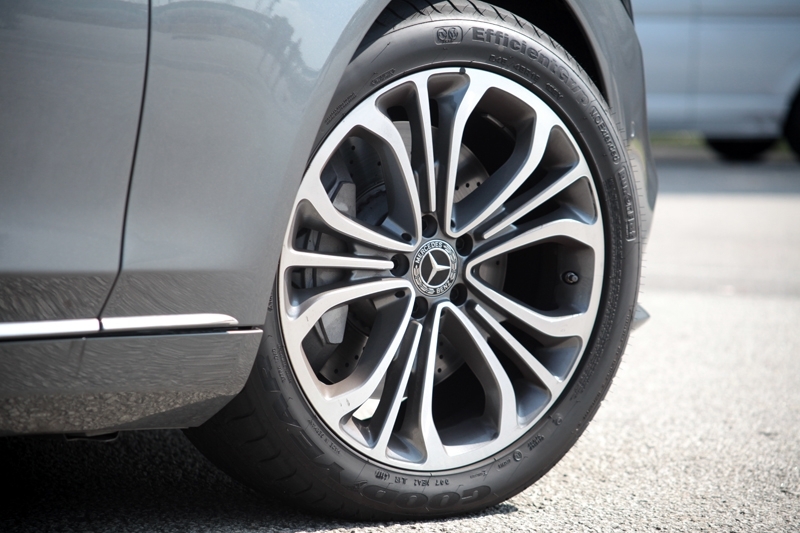 You definitely don’t feel much of road irregularities and at expressway speeds, only the tyre noise are audible; even that is subtle, which the Burmester premium sound system could easily mask. Frankly for this particular class, Mercedes-Benz got it right even after comparing it next to the 740Li and A8L; the XJ LWB and LS 350, on the other hand, coming rather close. Overall, it gets five stars from me. Good God if I have to head up to Penang and can only choose one car, this would be it; as driver or passenger, there’s nothing to complain about.